Detailed, supported product and marketing information are essential elements for brand owners and sponsors in the listed complementary medicine product development process. Qualified, evidence-based product and ingredient verification means they do not need to develop that aspect of new marketing campaigns. Specific and detailed product or ingredient features, as well as product knowledge by the manufacturer, leads to brand reliability and trust in the marketplace, but it’s not easily attained. Evolutionary new product development and the important role played by innovative ingredients gives TransChem customers, both contracted manufacturers and brand owners, a competitive edge when it comes to detailed product knowledge. Brand manufacturers want products that demonstrate developed and supported ingredient claims and benefits, as well as appropriate marketing support material, to market and better position their product to end consumers. Essentially, sponsors want ingredients that sell themselves; they want ingredients with a pool of leverageable claims supported by readily available, TGA compliant evidence. Without industry experience, expertise and high level service support, this is not a simple equation. When TransChem customers source ingredients, the products are backed by detailed marketing information and leveraged, evidence-based and supported claims. This knowledge is underscored by a deep understanding of client needs and is part of a suite of customer service operations TransChem offers to assist branded product development and effective end consumer marketing. 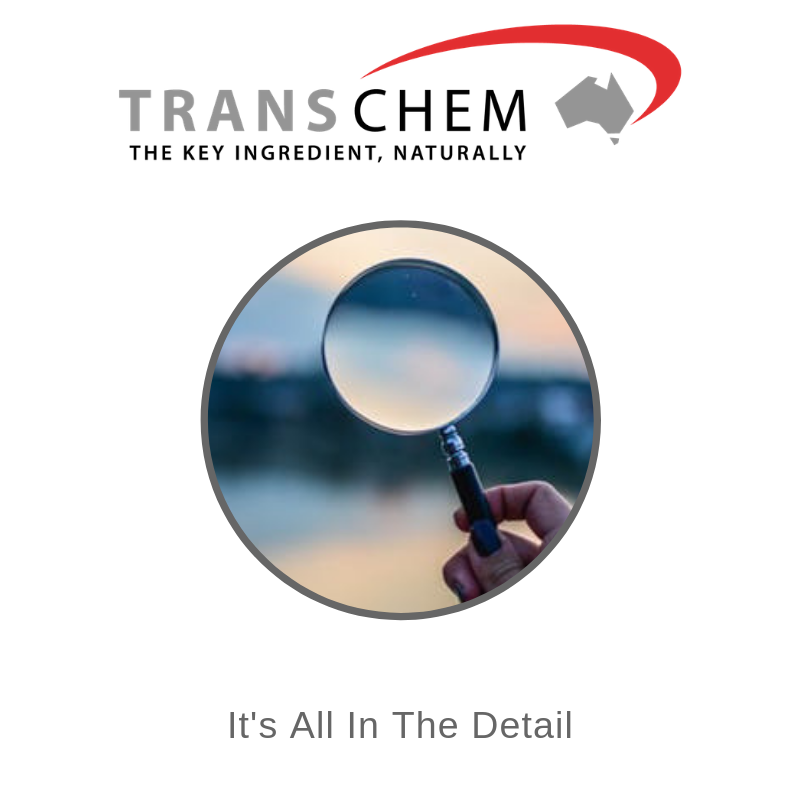 TransChem is well placed to provide its customers with detailed, reliable information: it has a broad, long standing international product sourcing network, together with a close and trusted stable of suppliers of innovative ingredients. It maintains constant communication with ingredient suppliers and regularly attends international conferences and trade shows researching the background of both the innovative ingredients and suppliers. It would be unusual for a stand alone brand to have this international scope, reach or expertise and would take years to replicate. TransChem’s longstanding relationships with international suppliers provides brands with a true competitive edge, guaranteeing both brands and manufacturers ingredient innovation, verification, traceability and quality, effectively slipstreaming them towards end stage new product development. Professionally qualified and with cumulative decades of industry experience supplying raw materials and high quality ingredients to the pharmaceutical, food, beverage, animal health, personal care, complementary medicine and dietary supplements industries, TransChem’s staff offer an international perspective and understanding of the nutraceutical industry and are well positioned to assist brands substantiate new product knowledge from a technical, marketing and regulatory perspective.